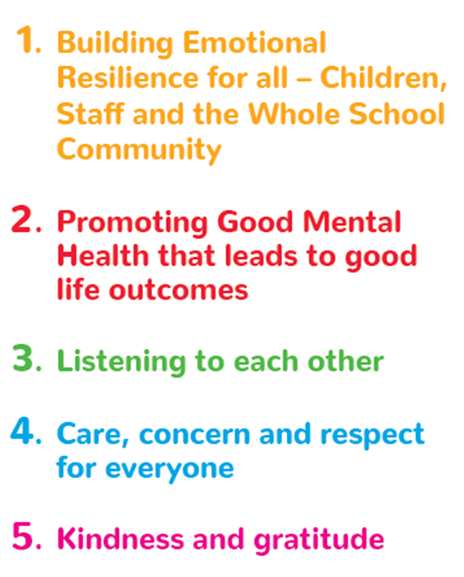 is an approach we have developed here at Forest Oak School to support the emotional health and wellbeing of our whole school community. It is based on the NHS 5 ways to wellbeing. Our aim is to empower our school community to become architects of their own emotional health and wellbeing within an enabling environment. We build opportunities to teach each other and practise these 5 SMILE steps to wellbeing into our daily life at Forest Oak. Our 5 steps have been developed to suit our community by adapting the NHS 5 Ways to Wellbeing, which are proven to support individuals' wellbeing. What we do to practice each step may be different for all of us; we all enjoy and respond to different activities. At Forest Oak we are working together using our SMILE approach to develop individual positive coping strategies, build resilience and have fun! Currently we are working with ten partner schools alongside Barry Carpenter,CBE OBE PhD Professor of Mental Health in Education at Oxford Brookes University and Jo Egerton, Schools Research Consultant and Educational Writer to evaluate the effectiveness of the SMILE approach in promoting positive ways to improve wellbeing and mental health in school communities. Issy Jerrard, Forest Oak Wellbeing and SMILE project lead. Our resources have been designed with illustrations from a Forest Oak pupil and logo from Haywood Sener. They are published by ButterflyPrint Ltd.